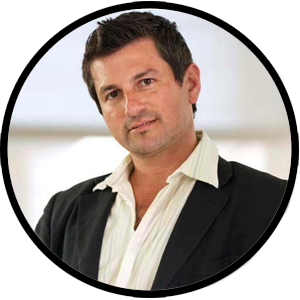 Owner of Hypnotherapy Breakthrough™, Carlos Casados is a personal growth and lifestyle coach, specializing in relationships, strategic communication, and conflict resolution; he believes all three to be interdependent. He is an influential speaker, recognized NLP expert and master hypnotist who has taught internationally and was featured in the documentary film, Enlightenment. Studying with international experts for over 3 decades, he has worked with world leaders, entrepreneurs, artists, scientists, educators, clergy and notable speakers, helping them apply the most effective tools for wellness, personal growth, and empowerment. 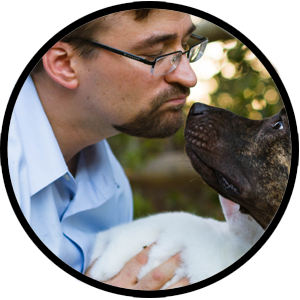 He has a proven track record of helping his clients take positive leaps in their personal and professional lives. In his free time, he loves exploring the great outdoors, being creative, and cultivating peak moments. He maintains an attitude of curiosity about and appreciation for new learning and experiences. Furthermore, he invites you as the listener to open your heart to discover what is possible, transforming yourself into a resourceful person, empowered to live your life on Purpose. Satch Purcell’s professional and personal background is a peculiar and fascinating mix which finds the perfect home at the Authenticity Show. Holding two Master’s degrees, he earned his first in Acupuncture & Oriental Medicine along with advanced training in acupuncture orthopedics. After practicing and teaching Traditional Chinese Medicine, he sought his second Master’s degree in Occupational Therapy, working in geriatric rehabilitation. Satch describes his main focus in life as simply, “The constant pursuit of wisdom.” This pursuit of wisdom has led him to train with renowned teachers. Seeking experiences in India and China, he has studied and practiced a variety of psychospiritual techniques, internal martial arts, and deep, prolonged meditation. Currently Satch is a professional college educator and program director at Stanbridge University, as well as the proud co-host and co-creative director of the Authenticity Show. Satch’s unique perspectives, and his creative use of analogies, language, and spatial metaphors represent new ways for listeners to approach their own peace, freedom, and happiness. 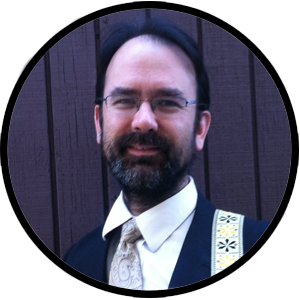 Oliver Althoen is a musician, music educator, producer, and lifelong learning enthusiast. His recent musical projects include a blues/rock band called Dry River, and a jazz band called redShift. He also has two solo albums called Obsidian Kite and Dark Light. In addition to producing the Authenticity Show and hosting the show’s Music Nerd Editions with fellow musician and former guest, Lanzo Luconi, Oliver composes nearly all of the music you hear in the show. An avid reader, he also enjoys minimalist and barefoot running, playing chess, and practicing vipassana meditation. Tina Fox fits right in with the rest of the team as a curious learner, explorer and pursuer of excellence. She came on board as Publicity Manager for the show in December 2017. With an extensive background in office administration and operations in her “former life,” she decided to set all that aside in 2014 and lept full-time into self-transformation with both feet, engineering a “controlled life-demolition” in order to redesign her chronically challenging life from the ground up. With an educational background in individual and group psychology and communications, her true passion for group culture, subcultures and the transformational experience came alive when she entered and began observing the world of personal development and alt. education. It was then that her voracious curiosity and passion to help people transform and expand their lives, joined with a deep understanding of how and why people use social media to connect, led her to create her own company, Purple Fox Enterprises, which primarily guides and supports entrepreneurial creatives in organically establishing and maintaining genuine relationship with their followers using social media. In addition to her role as Publicity Manager for the show, caring for her clients and re-creating herself, she is a full time mom and home educator of her young son. Some of her hobbies include studying what makes people tick, writing personal and journalistic essays, singing really loud in her car, and collecting memes.